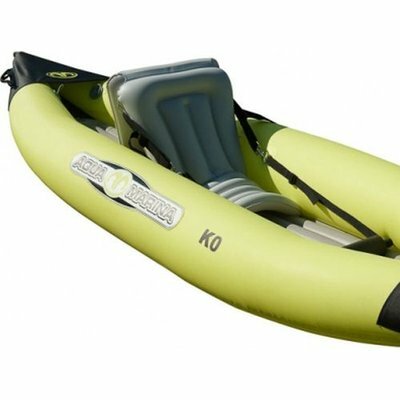 iKayak - inflatable Kayak that rolls up into a bag! K0 sit-in kayak is great for those wishing to dive into the sport with a boat that enables them to quickly hone their skills. 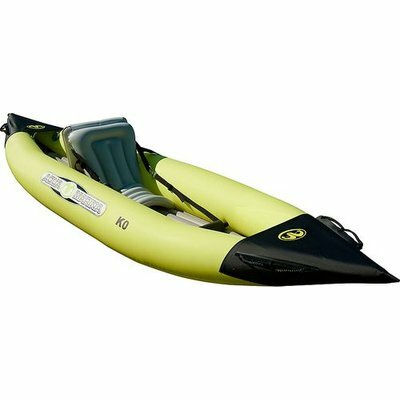 Enjoy the great outdoors with the K0 sit-in kayak for 1. Offering portability easy storage and fast setup. Designed for lakes and moderate water, it has tracking skegs that make manoeuvring easy even for a novice user. The K0 is a natural choice for beginners to intermediate level paddlers. Material: 3 layer reinforced PVC and I-Beam deck. Bow and stern carrying lines.